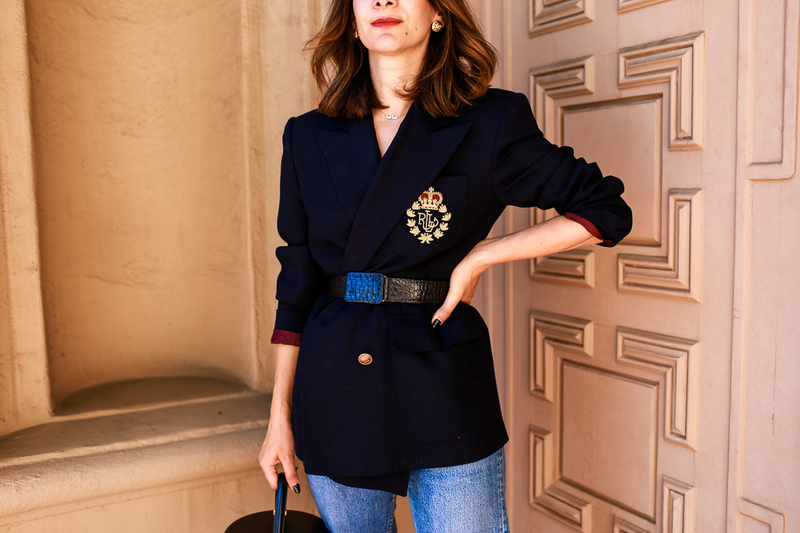 This vintage Ralph Lauren blazer is one of my favorite blazers in my closet. You know I have SO many vintage blazers, but this one is just the best. Since it’s oversized, I can wear it over dresses and sweaters for an oversized fit, but I love wearing it like I styled here wrapped with a belt. I styled the blazer with a vintage belt, vintage Levi’s, and my first pair of Christian Louboutin heels! My bag is the lustworthy Louis Vuitton Cannes Bag – it’s the season’s it bag so I’m sharing tips on where to buy it here. Love this! Do you have the single or double breasted one? I’m so torn between the two styles!